James Valcg of the Third Avenue Playhouse in Sturgeon Bay. Photo by Len Villano. American Theatre, a national magazine devoted to nonprofit regional theatres across the country, features James Valcq, co-artistic director of Third Avenue Playhouse (TAP) in Sturgeon Bay, in its monthly “People to Watch” column in the December issue. 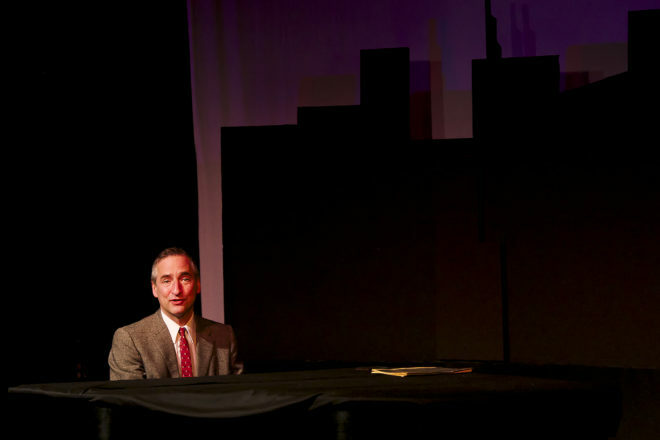 In the article, Rob Weinert-Kendt, editor-in-chief, recognizes Valcq as a composer and mentions his latest musical, Boxcar, which premiered this summer at Northern Sky Theater; and his upcoming reconstruction of George Gershwin’s first Broadway musical, La-La-Lucille!, which will be performed July 25-Sept. 1 at TAP. Visit americantheatre.org to read the full article.